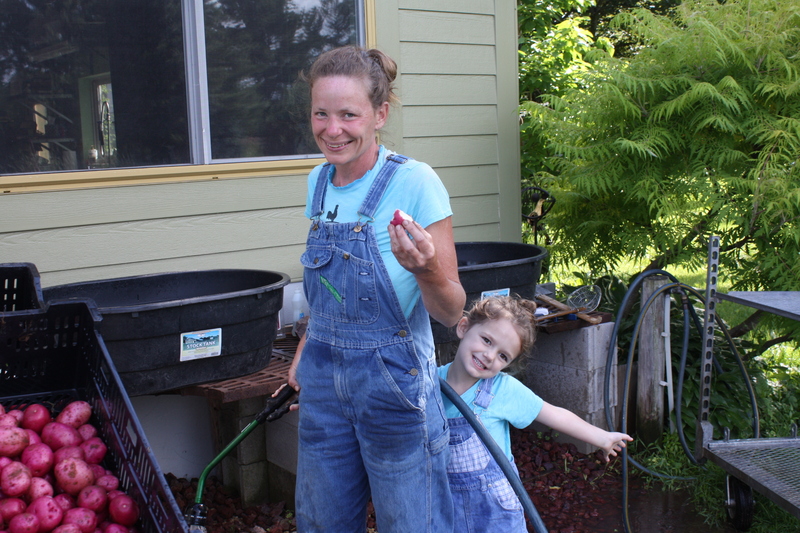 Weed, water, plant and harvest-that is our daily theme around here. 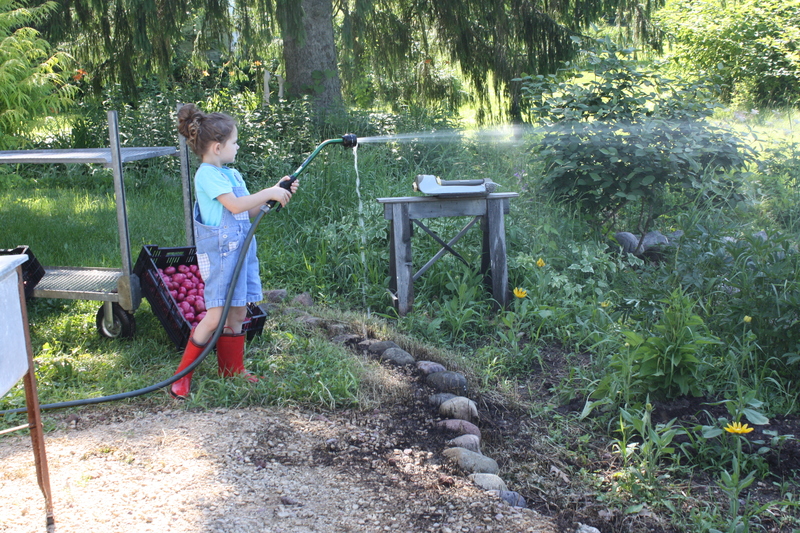 A busy time with the sometimes twice daily visit to the cucumber and zucchini patches but we are on top of things and always exciting to see the healthy and abundant vegetables coming out of the garden. The pea vines came down, the ground prepped and the big late popcorn “experiment” took their place. Fingers crossed that there is enough time to reach maturity. We had good germination in the greenhouse and all 1000 of those little cups were transplanted Saturday morning. 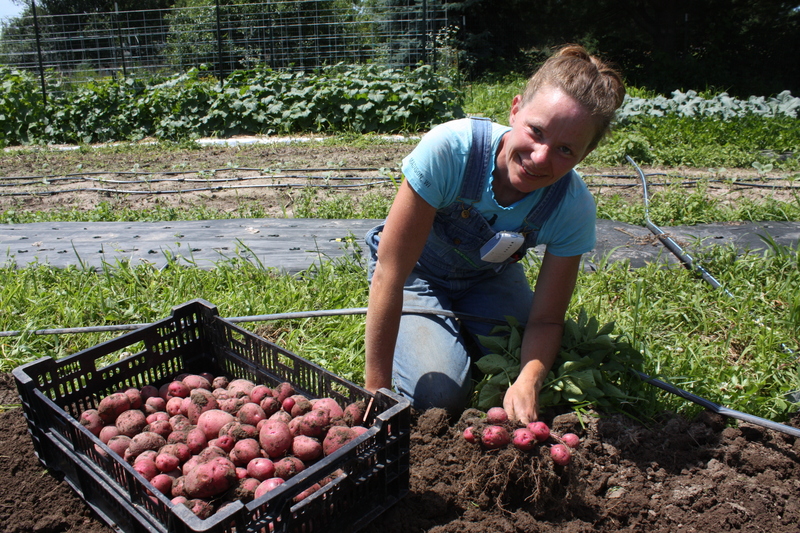 We started the potato harvest and we are thrilled with the yield! Well over 300 pounds. Our early red norland crop is all out of the ground and in the share this week. Scott hand forks the plants out of the ground and I harvest from the soil. But we eventually got the washing job done. 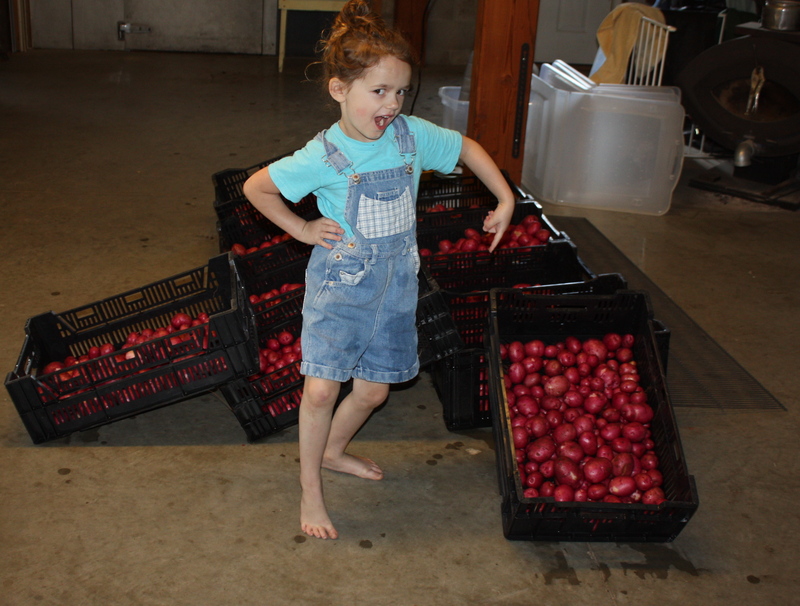 Maeve feeling pretty cool about all the potatoes. Weeding is a top priority and we spent a good part of 2 days cleaning up the zucchini patch with a bit of additional help from our friend and CSA member Barbara. Weed free and beautiful picking rows. We will leave it open for a few days, quickly hoe any new weed growth and toss a layer of straw on top. 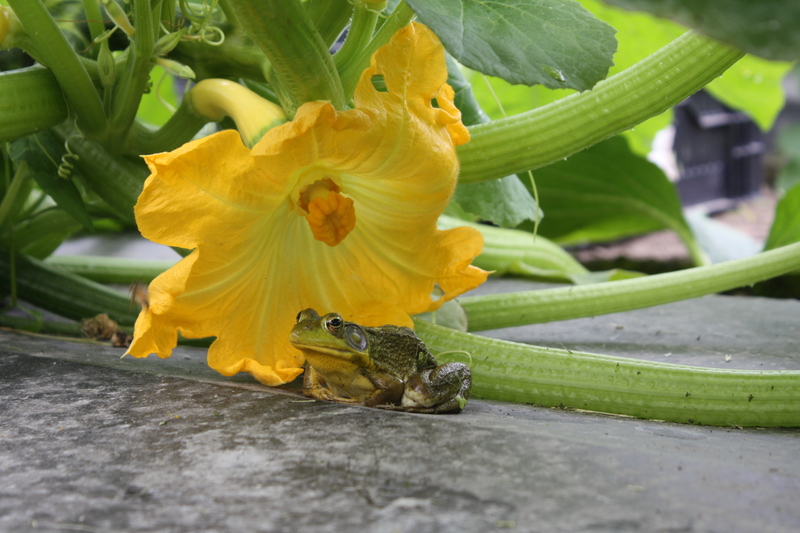 A friend has taken up residence in the zucchini patch. I see him there often when picking. 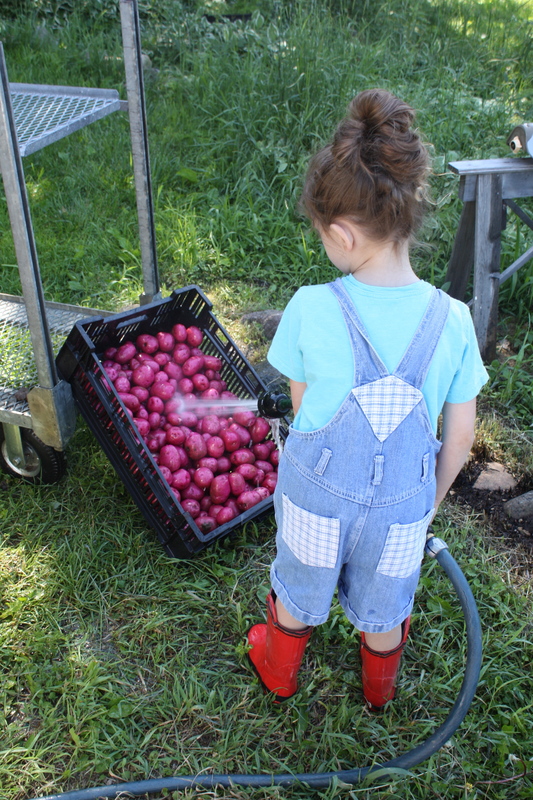 We started planting our Fall harvest crops. 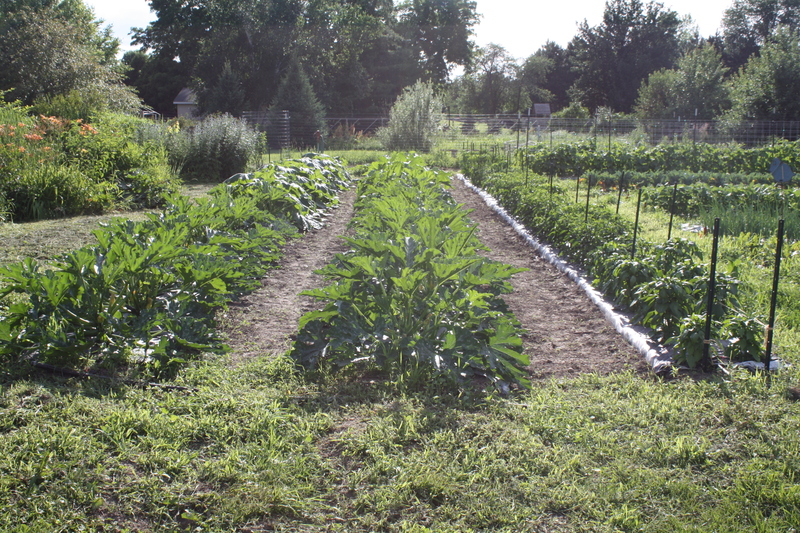 More broccoli, cabbage and kohlrabi went in last week and tomorrow long rows of cauliflower again. The daikon radish was planted and Swiss Chard started in the greenhouse again. We are preparing beds for big sturdy storage carrots and will plant by the end of this week. 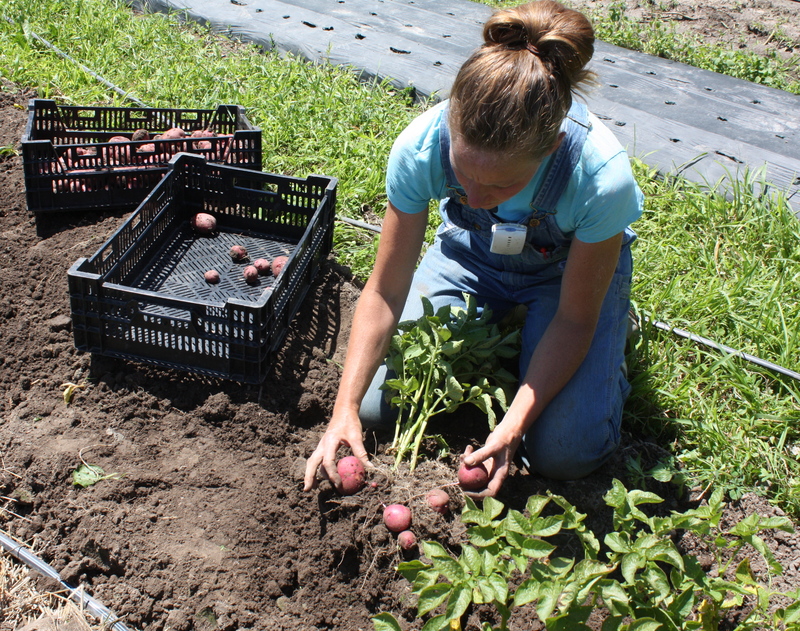 Our garlic harvest will start and the fingerling potatoes will come out. A big “to do” list. 320 pounds of garden delights went out the door today. Beets-3 varieties. The beet greens are eatable too. Fennel-Makes a delicious salad with beets and cabbage. Wonderful roasted as well. Cabbage-An early mini head. Perfect for slaw, salad or stir fry. Zucchini-The plants are really starting to produce! 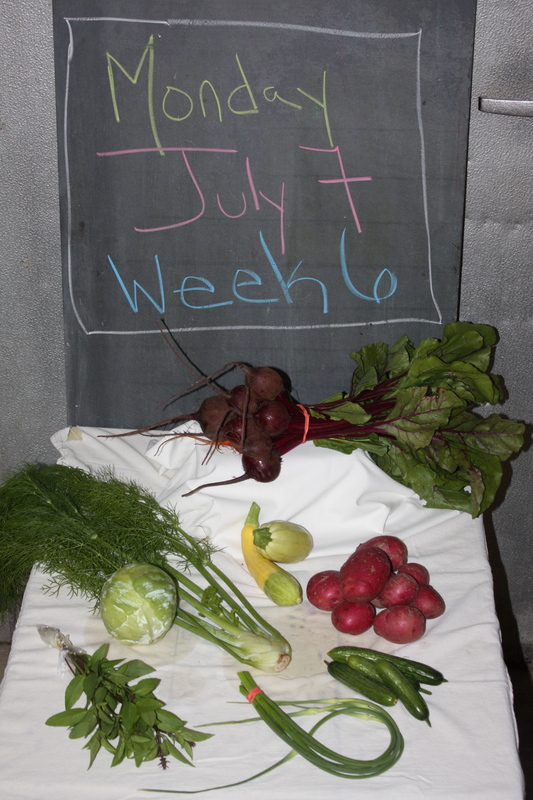 We planted 4 different varieties this year and an assortment will appear in your box throughout the season. We pick them small and tender. 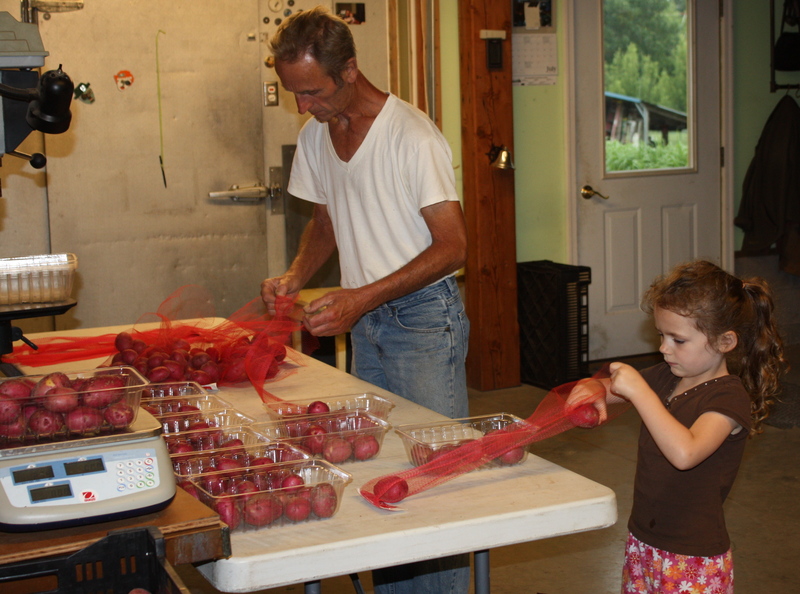 Scott and Maeve packing potatoes. Potatoes- Early Red Norland. Perfect steamed, fried or mashed. Cucumbers-Little Munchers. We saw these appear at the grocery stores last year and loved them. We scouted out the seed and are testing out 4 varieties. Enjoy! Garlic Scapes-The end of these for the season. True garlic harvest starts this week. Sweet Thai Basil-A delicious and unique tasting basil. Great addition to chicken marinades, salad dressing, stir fries or soups. Pac Choi-I do think this is my favorite “green” this year. LOVE! it fresh as a salad and even more braised with the scapes and a bit of soy. Kale-An assorted bundle. We planted 6 different variety. Makes wonderful Kale Crisps or fresh in salads. Great addition to smoothies. A funny little guy is going home with someone today. Eggplant-The plants are going nuts out there! 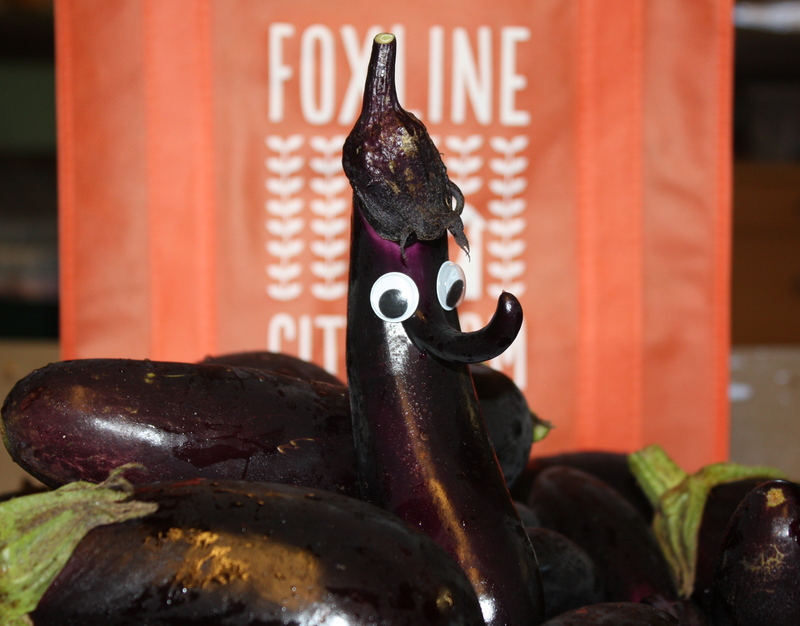 We have NEVER had eggplant this early. 3 varieties planted so an assortment in the boxes. Long Slicers on the vine. 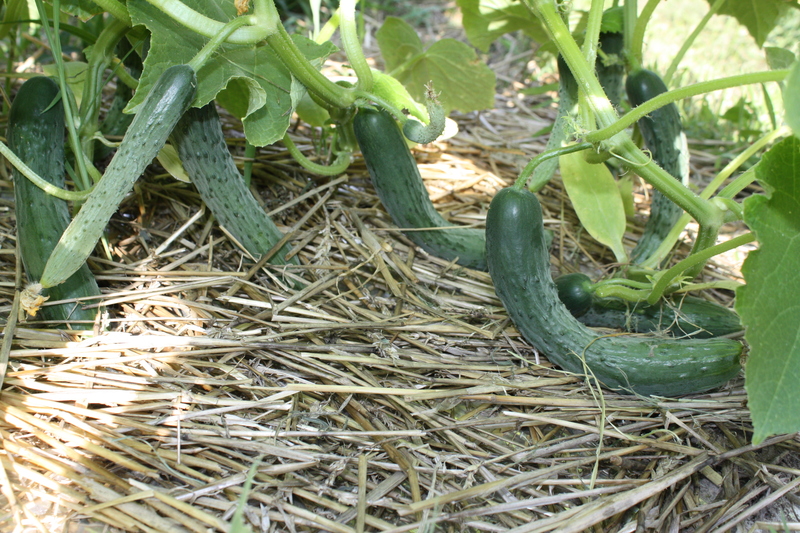 Slicing Cucumbers-Just picked! The first of the season. Sweet Thai Basil-A delicious and unique tasting basil. Great addition to marinades, salad dressing stir fries or soup. 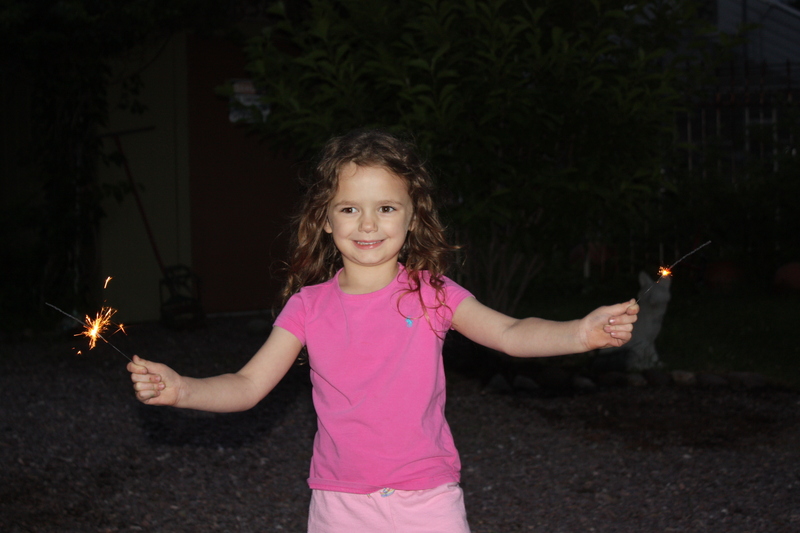 Hope everyone had a wonderful 4th of July Holiday weekend. 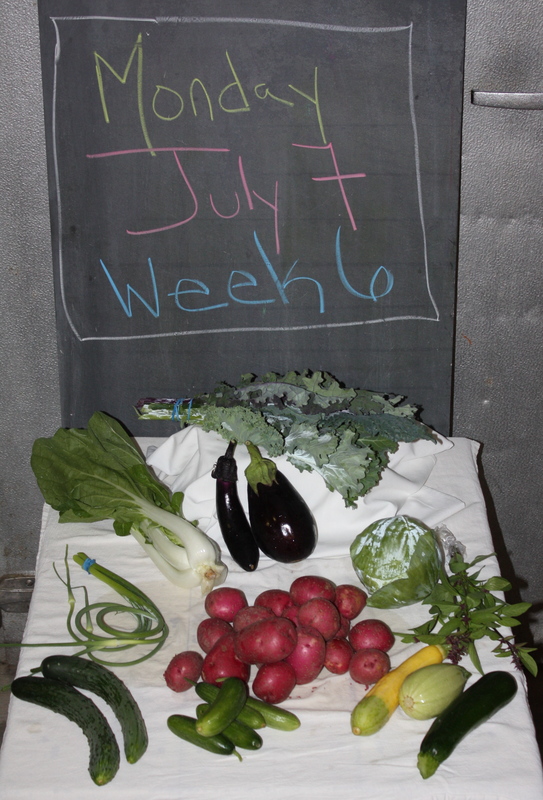 BEST GUESS FOR NEXT WEEK-cucumbers, garlic, potatoes, zucchini, lettuce, eggplant, beans??? ?, cherry tomatoes???? ?, + more.